As most of London's great cinemas all have been closed or demolished, it is pleasing to find one, which still runs 70mm from time to time. With the exception of the grand Odeon across the square, and the BFI Southbank (formerly the NFT), and newcomer Picturehouse Central (screen 1), about two minutes' walk away from Leicester Square, all London's classic 70MM cinemas are gone. 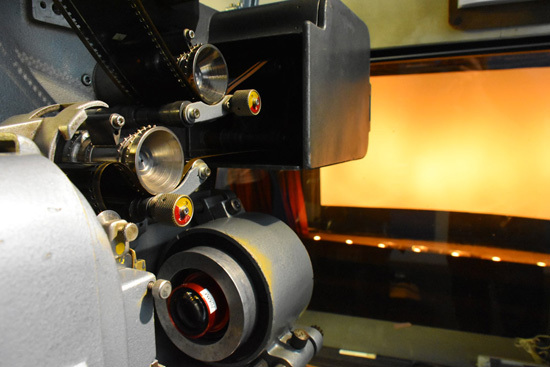 Once upon a time, nearly 20 of London's West end cinemas showed film in large format 70mm. London used to be the center of "70mm World", and was the favourite travel destination to many film and 70mm fans alike. 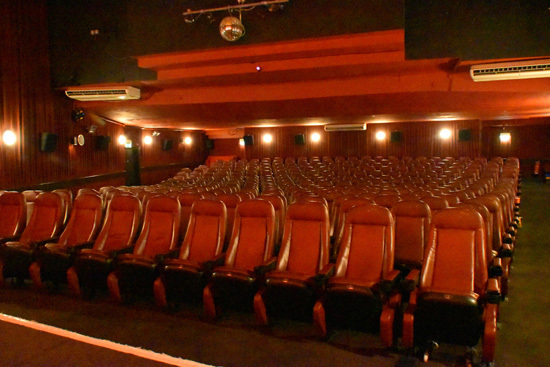 In the fall of 2015, the Prince Charles Cinema in London re-installed 70mm projectors, to be able to play 70mm prints again. Since then, I have followed, read and seen a lot about the 70mm screenings at the Prince Charles. I get regular e-mails about "What's on in 70mm" which I add to the "Now showing in 70mm in a theatre near you!" page. I never visited the cinema in the '80s or '90 as they rarely showed any films in 70mm - at least not while I was in London on vacation. In September 2016, I wrote an e-mail to the PCC asking for permission to come and see the cinema, and take some pictures for in70mm.com. 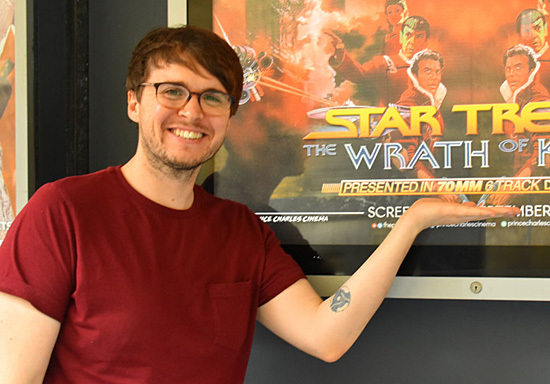 Head of programming, Paul Vickery kindly gave me access to the cinema any time I would see fit during our 4-days London visit. He even gave us two free tickets to the 70mm performance of "Star Trek II: The Wrath of Khan". While my wife was off shopping in Oxford Street I went to the PCC, was invited in and given the complete tour by the staff. The staff was very helpful with the light in the main auditorium, so I could take my pictures. It was a very nostalgic evening, to see "Star Trek II: The Wrath of Khan" in authentic 6-track Dolby Stereo. The 70mm print - one of two - premiered July 22, 1982 just around the corner at the Plaza and ABC Shaftsbury Avenue. The soundtrack played very loud - which I liked, and the surrounds played very well too. The quality of magnetic sound is still the best in my ears, despite all kinds of modern digital multi channel sound wonders - analogue 6-track magnetic Dolby Stereo has yet to be surpassed. There is so much fidelity, and transparency in the sound, like I have not yet heard in a digital soundtrack. I was amazed to see how the cinema started to fill up before the 70mm show began. I'd say it was almost sold out, and I asked afterwards if that was normal, or a special evening of some kind, which we accidentally experienced. I was told it was quite normal to have 70mm shows sold out, which is also why the PCC schedule several screenings of the same title over several weeks. The Prince Charles Cinema have many posters on display on their facade, many of which are of their own design. The tag "Presented in 7OMM 6 Track Dolby Stereo" is prominently placed with BIG letters on the posters. It is very nice to see this kind of showmanship still being used to promote 70mm in London. Take a look at their web site too - search for "70mm", and you can see the same logos and advertising. If you are in London, do check out their web site and go back to memory lane for some 70mm magic. Many thanks to the Prince Charles Cinema for their enthusiasm.